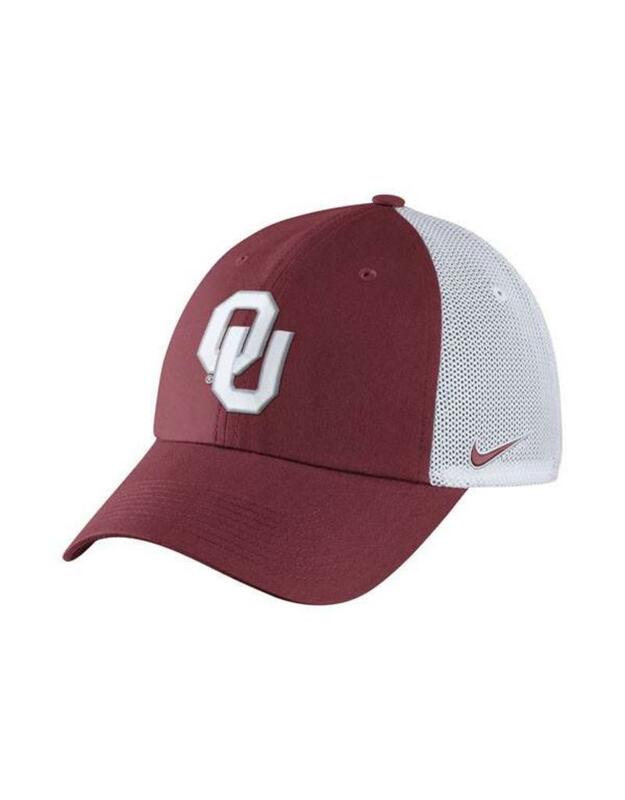 The Nike H86 OU Fab Trucker Hat features a crimson front and bill and white mesh back. 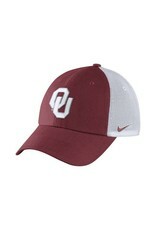 Embroidered white interlocking OU logo on the front. Adjustable back.